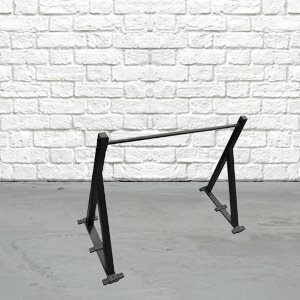 This bar features a slight camber on each end (much like you would find on a standard pull-up bar) and 5 parallel grip handles. 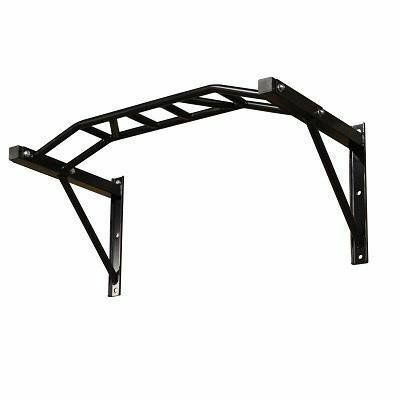 This bar is perfect for all kinds of pull-up/chin-up variations. • 4 bolts supplied with each cell. Installation of bolts require a masonry drill-bit and socket. Fitness ETC is not responsible for the integrity of the installation. Seek advice from the appropriate professionals as to the structural strength of the wall you are assembling to. Failure to install correctly could result in serious injury! 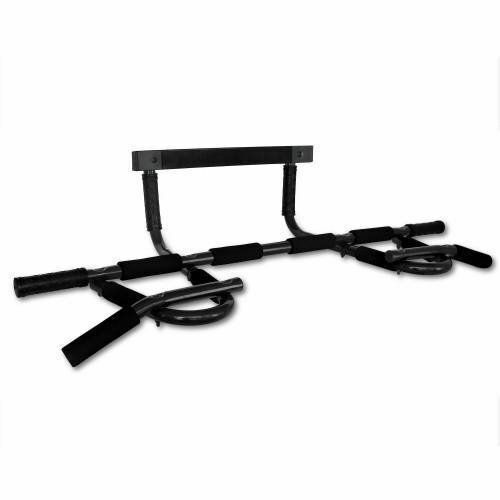 The Fitness Chin Up Bar itself is bolted flush to the support brackets so there is no play or movement. • 6 bolts supplied with each cell. Installation of bolts require a masonry drill-bit and socket. Designed with kipping pull ups in mind, extending 33″ out from the wall to provide kipping room for even the biggest titans. The flush bolting to the support brackets so there is no play or movement, just a solid fixture that will take any weight up to 400kg. 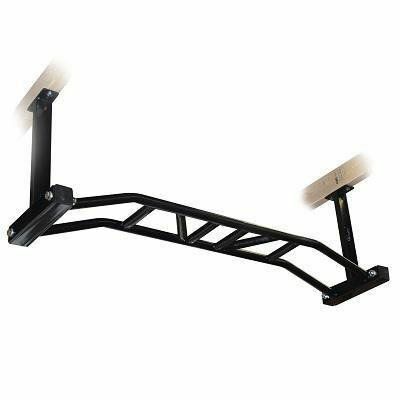 The chin bar can also be mounted on the ceiling for a vertical drop.